Dr. Girardi has been in practice for over 23 years, 18 of those years spent in the CNY area. He was born and raised in Massachusetts until moving to Oneida, NY in 1978 where he graduated from Oneida High School in 1982. He earned his Bachelor's degree in Biology from Ithaca College in 1986 and attended the New England College of Optometry from 1986 to 1990. During that time, he volunteered for VOSH (Volunteer Optometric Services for Humanity) and participated in two missions to South America providing eye care and glasses to those in need. He practiced at a busy Ophthalmological office for 3 years in Venice, Florida before moving back to central New York. Dr. Girardi worked part-time with Dr. Gary Marrone for over 18 years, and with Syracuse Eye Physicians for over 12 years. In late July, he purchased the practice, See Sharp Eyewear from the late Gary Marrone, OD and now works in the office full time. He looks forward to providing eye care services to the longstanding patient base of both practices as well as any new patients. He diagnoses cataracts, retinal diseases including macular degeneration, and treats glaucoma and various ocular infections. 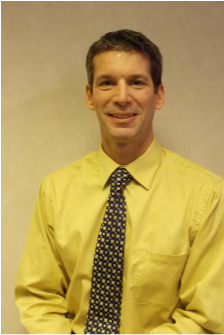 He is an active member and Past President of the Central New York Optometric Association. He enjoys golf, biking, basketball and time with his wife Judy and his two collegiate boys, Jordan and Peter. 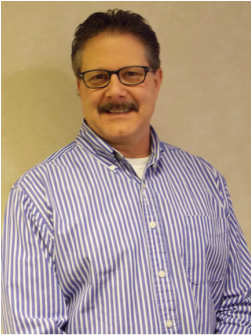 Dale S. Clemens, NYS Licensed Optician, has been practicing for 23 years. He received his Associates in Applied Science degree from Mater Dei College in 1995. He is also a Certified Contact Lens Practitioner and holds national certifications from American Board of Opticianry and National Contact Lens Examiners. Mr. Clemens has also been actively involved in the New York State Society of Opticians since 1993 and has held different positions to include most recently Directorship for the Greater Central New York area. He has volunteered for several community programs such as the Special Olympics in Syracuse, and the Volunteer Optometric Services to Humanity mission in Sahuayo, Mexico. Dale S. Clemens maintains his knowledge of latest innovations in the optical industry through the manufacturing representatives, continuing education seminars, and the state wide NYSSO Professional Development Symposiums. When Dale is not working, he enjoys spending time with his wife and two children traveling to the Adirondacks, supporting his children in various social activities, and trying his hand at cooking. Lori O'Leary has been with our practice since September 2001. After graduating from East Syracuse-Minoa High School, she then attended Bryant & Stratton College to pursue a degree in Administrative Assisting. In 2003, Lori graduated on the Deans List with an Associates of Occupational Studies in Administrative Assisting. Lori resides in Kirkville with her husband, Tim, daughter Olivia, and their crazy Chocolate Lab Sophie. Kristin Warchal graduated from Cicero-North Syracuse High School in 1999. While in high school, Kristin attended the Syracuse School of Dance participating in Ballet, Point, and Jazz. Kristin also was a member of the chorus and the National Honor Society. After high school, Mrs. Warchal attended Onondaga Community College studying Human Services. During high school and college, Mrs. Warchal worked for Dr. Marrone and has enjoyed her tenure for the last 15 years caring for the patients and seeing to the day to day operations of the office. She now looks forward to the challenges and achievements of working for Dr. Girardi in his new office. Kristin married her husband Jason in 2008 and they enjoy their two beautiful children. They also have a golden retriever to complete the family. Kristin enjoys spending time with her family as well as reading, staying active. Alicia Briggs attended and graduated from Jordan-Elbridge High School in 2003. She enjoyed her participation in the Concert Band, the Color Guard, and the Language Club. Mrs. Briggs continued her education attending Cayuga Community College majoring in Liberal Arts from 2003 through 2005. Alicia joined Dr. Marrone's practice in December 2009 helping staff his secondary location in the Great Northern Mall. 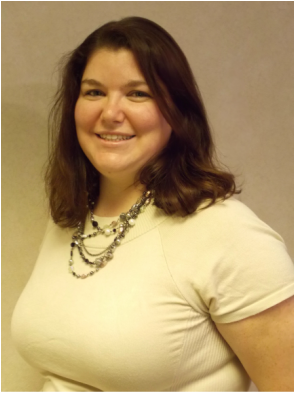 In January 2011, after Dr. Marrone closed the Great Northern office, she joined the team at Shoppingtown Mall. Alicia has been in her current position since the move to our new location meeting the day to day challenges with enthusiasm. Mrs. Briggs enjoys trying her talents at photography, sewing, and baking. Alicia is also known to enjoy camping at various campsites and state parks. Dr. Marrone had been in practice for almost thirty years. Born and raised in the Utica, NY area, he attended Herkimer County Community College and Cornell University College of Agriculture and Life Sciences before graduating from the Pennsylvania College of Optometry in 1982. He served as a captain/optometrist in the U.S. Army for three years before returning to central NY. He was an active member and past-president of the Central NY Optometric Society, He volunteered to perform vision exams in Albania, Mexico and Chile. The See Sharp Eyewear practice was founded in 2011 by Dr. Marrone who sadly passed away December 6th, 2013 after a brief illness. He enjoyed his work, caring for his patients, and filling the office with joy and laughter. He is survived by Christine, his wife of 34 years, and was blessed to have his two children and four grandchildren.